Geoffrey Bridge was born in Accrington, Lancashire, the son of professional musicians. After a period of medical training at St Andrews University he studied the oboe at the Royal College of Music continuing with Léon Goossens and later with Heinz Holliger. Following his professional recital debut in the Manchester Midday Concert series of 1962 Geoffrey became a solo artist for the Arts Council of Great Britain. He has broadcast solo and chamber music recitals on BBC radio and made solo appearances on both independent television and radio. In 2003, with the assistance of the Boughton Trust, he gave the first professional performance since its premiere by Goossens in 1943, of Rutland Boughton’s second oboe concerto in Chichester Cathedral. Teaching has always been an integral part of his work and after teaching in Aberdeenshire in the sixties he moved to England, became Head of Woodwind Teaching for Hampshire County Council and eventually Deputy Head of the Hampshire Music Service. Before returning to Scotland in September 2003 he taught the oboe at Winchester College. He continues to play professionally, conduct and coach at Summer Schools. Trustee and Chairman of the British Double Reed Society he is involved in writing about Double Reed matters. 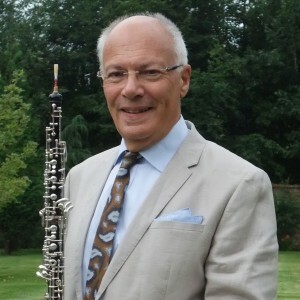 He has hosted a problems page for the Australasian Double Reed Society and has been involved with the AllExperts Internet site for a number of years answering over a thousand questions on oboe-related matters.